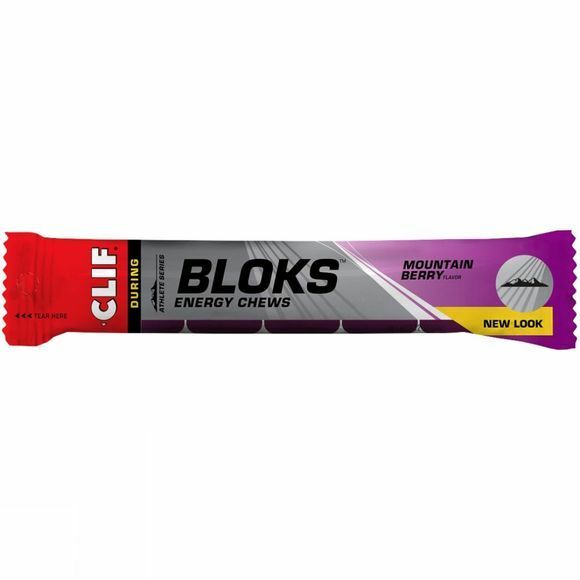 Clif Shot Bloks Energy Chews provide convenient nutrition for endurance athletes. The easy-to-chew blocks quickly replenish your carbohydrates and electrolytes, allowing you to perform at your best throughout the day or night. Each pack contains six individual blocks, making it easy for you to manage your intake, and the packaging is specifically designed for you to push each block up and out quickly and easily. They are ideal for hikers, cyclists, runners, climbers or any athlete in need of a quick burst of energy. Half a pack of Shot Bloks can be eaten 15 minutes prior to activity to increase blood sugar levels, followed by 1-2 packets per hour during activity. Consumption of Shot Bloks should always be followed with a mouthful of water.